Over-permed hair is often very frizzy. 3 What Does Lemon Juice Do to Your Hair? Although perms can add body and bounce to otherwise lifeless hair, excessive perming is damaging to your hair. The harsh chemical treatments used in a perm frequently dry hair, cause split ends and result in frizziness. If your hair is over-permed, stop perming it and avoid using hair color and other chemical treatments until your hair has recovered. While you wait for new, healthier hair to grow in, there are several things you can do to tame your hair. According to "Naturally Healthy Hair," excessive hair washing can dry out your hair and cause split ends. 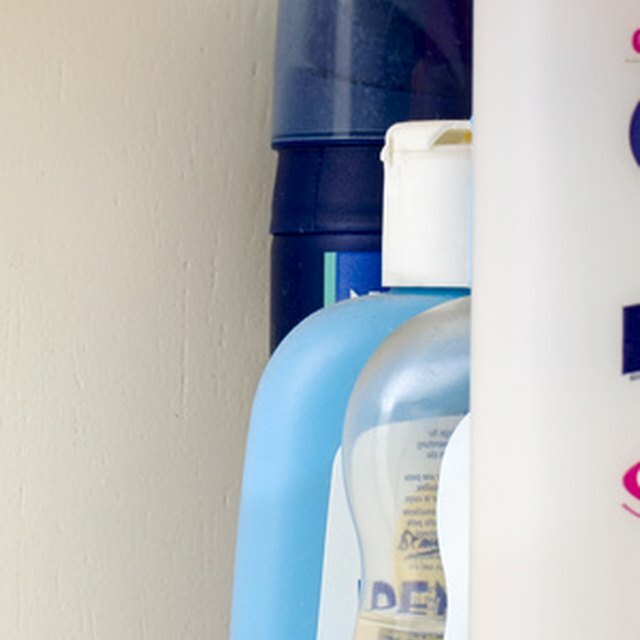 Because over-permed hair is already dry and is frequently split, it is important to choose shampoos wisely and only wash when absolutely necessary. Choose a sulfate-free shampoo. Sulfates are detergents that create foam in shampoo, but can dry the hair and inhibit healthy growth. Instead of washing your hair daily, try simply rinsing it in the shower and then applying a conditioner to the ends. Wash every second or third day. Apply a moisturizing conditioner to your hair each day and leave in for at least two minutes before rinsing. Never brush wet hair that has been over-permed. Not only does this cause more damage, it can also make your hair frizzy and unmanageable. Instead, gently comb with a wide-tooth comb. If you blow-dry your hair straight, wait until your hair is 25 percent dry to begin blow-drying. For a natural curly or wavy-haired look, gently towel dry and apply a hair gel. Scrunch the ends of your hair with your fingers and leave your hair alone until it is dry. Several hair products can help tame frizz and damage. Coconut oil moisturizes the hair and minimizes split ends, according to "The Hair Bible." Apply a pure coconut oil solution to the ends of your hair before bed, or use a coconut oil shine serum on your hair in the morning when it is wet. Whenever you use heat treatments such as hot rollers or blow driers, apply a heat protectant spray to your hair. Anti-frizz shine serums can prevent hair from becoming frizzy, dry and unmanageable, and you can apply them several times a day if necessary. Once hair is covered in split ends, the only thing that will fix it is new, healthier growth. To encourage hair health, drink plenty of water and eliminate sugary drinks and soda from your diet. Take a biotin supplement daily. Biotin, according to "Biology: Life on Earth with Physiology," can improve the health of both skin and hair.